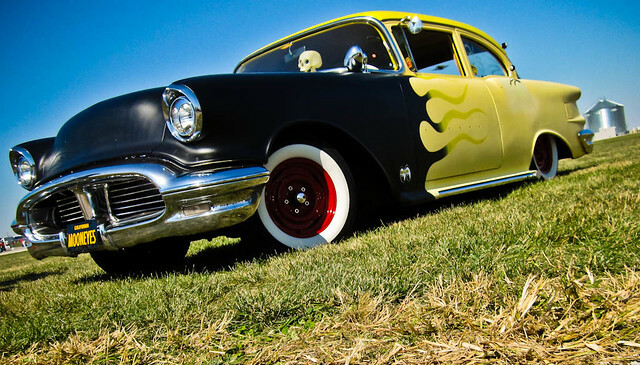 Moon Eyes themed, nosed and decked '56 Olds Rocket 88. From the 2010 Hunnert Car Pileup in Decatur, IL. Shot by LynchM0B1 on Flickr. Holy Holleys! Can it be?? I recently stumbled onto another female-fronted, gear wrenching website (blog, really) called Grease Girl, based out of Los Angeles, that you really have to visit. Kristin - the Grease Girl herself - found herself needing a car one day and decided to spend the money on something that would last and she could learn to fix own her own in the process: a 1955 Studebaker. The rest is a story about a girl and the love of a classic car and all the bits in between. Her blog is just great, and a wonderful introduction to the process of learning about and restoring your own car, especially for women out there who feel daunted by the sausage fest that the car scene can be. She even has a whole Learning Section where Kristin passes on many of the lessons she learns while building up her Stude. 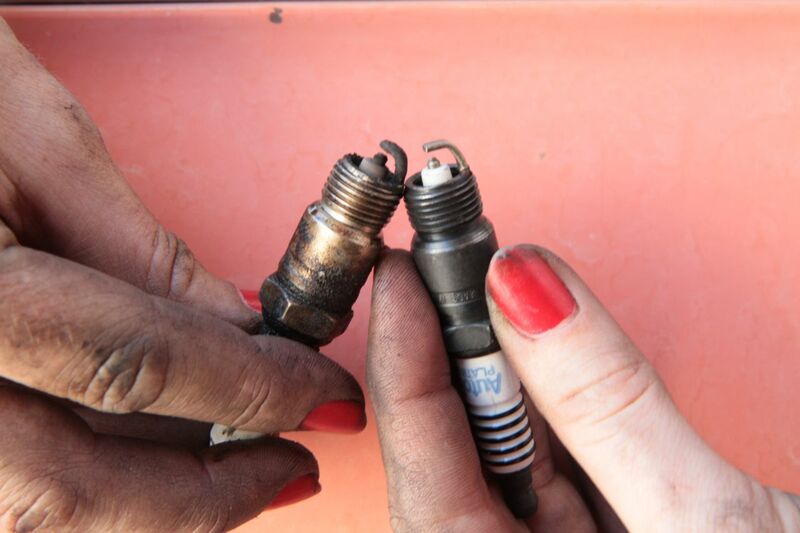 Gaping spark plugs, installing exhaust systems (and how do they work, anyway? She'll explain!) and there are even instructional videos on a few topics, like installing a headliner. Seriously...this girl has got it going on. I recently emailed her to give a big virtual (and cross-country!) 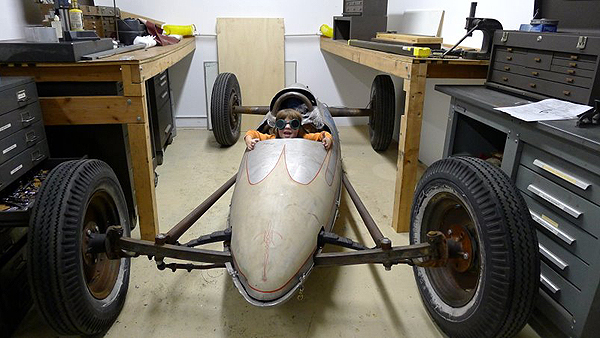 hi-five to another woman who has the need for vintage speed and perhaps you'll see some sort of bi-coastal car colab coming out of the two of us at some point. In what form, I don't know. I've been wanting to write some sort of article about female fabricators and machinists who build and customize cars over the years, but have never been able to find any leads on where these ladies are in this country...IF they even exist. But Grease Girl totally just sent me a few names and leads, so we'll see where it goes. One of them being Ladies in Autosports, an online magazine run by Julia Aschenberg, a journalist who has been trying to put together a women's auto mag for quite some time. Regardless, it's just nice to know I have a real sisters in sockets somewhere out there, not just more car show bouffant beauty queens who have no clue what rear differential is.